Instrument consisting of a tobacco hole that is filled with tobacco and a stem through which the smoke is inhaled. Usually wooden part of a pipe that contains the tobacco hole. Part of the pipe that is usually made of hard rubber; it fits into the shank and acts as a conduit. Wide flat end of the stem that is held between the teeth. Lower projecting part of the stummel that is used to hold the pipe. 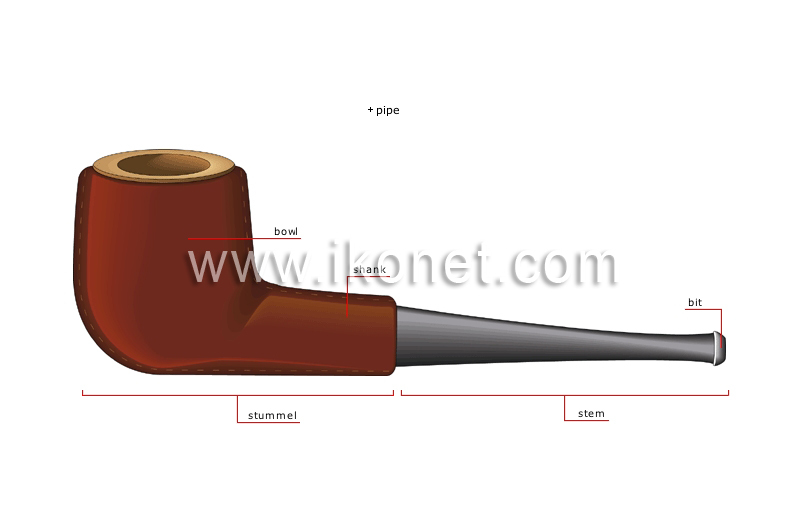 With the tobacco hole, it forms part of the stummel and acts as a conduit.